Purpose: The study purport to investigate the effectiveness of internal control mechanisms, investigate whether evidence of agency problem is found among banks in Europe and determine how internal controls affect credit risk. Design/methodology/approach: Panel data from 91 banks from 23 European Union countries were studied from 2008-2014. Hausman’s specification test suggest the use of fixed effects estimation technique of GLS. Quantitatively modelled data on 15 variables covering elements of internal controls, objectives of internal controls, agency problem, bank and country specific variables were used. Findings: There is still high credit risk in spite of measures being implemented by the European Central Bank. Banks have individual entity factors that increase or decrease credit risk. The study finds effective internal control systems because objectives of internal controls are achieved and significantly determine credit risk. Agency problem is confirmed due to significant positive relation with credit risk. There is significant effect of internal controls on credit risk with specific variables as risk assessment, return on average risk weighted assets, institutional ownership, bank size, inflation, interest rate and GDP. Research limitations/implications: Missing data prevented the use of strongly balanced panel. The lack of flexibility with using quantitative approach did not allow further scrutiny of the nature of variables. However, statistical tests were acceptable for the model used. The study has implications for management and owners of banks to be warry of agency problem because that provides incentive for reckless high risk transactions that may benefit the agent than the principal. Management must engage in actions that profile the company better and enhances value maximization. Rising default risk has tendency to impair corporate image leading to loss of reputational capital. 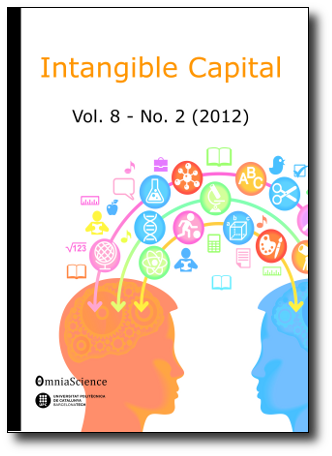 Originality/value: The study provides the use of quantitative approach to measuring certain phenomena within the discipline of internal controls. The study adds to a previous study by same authors and confirming the agency problem in a different approach.